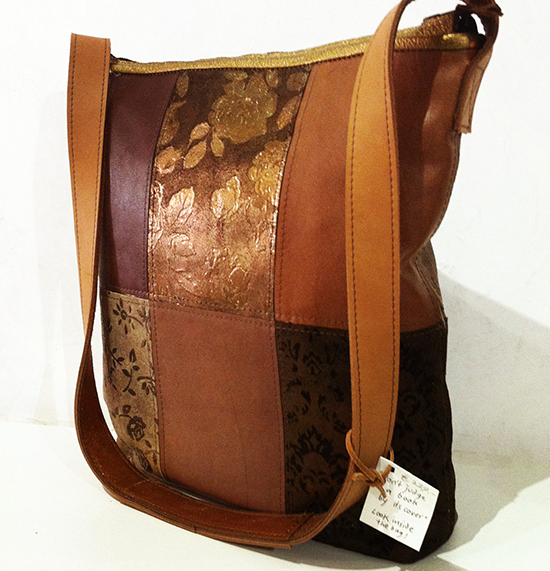 Patchwork bag, using different kinds of leather, some with pattern printed on it. All in brown hues. Lining with dark purple fabric and red-gold leather as inside pocket.